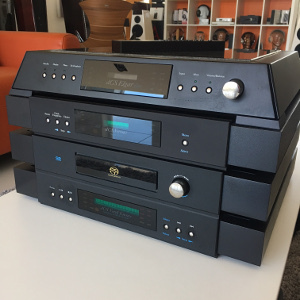 An opportunity to own one of the world's finest CD/SACD players. dCS Verdi Encore Upsampling CD/SACD Transport, dCS Elgar Plus Reference Digital to analogue Audio Processor & dCS Verona Master clock. Collection from our showroom only.